Most most pet owners have heard that antioxidants are important for their pets but don't really understand why. Antioxidants are not another gimic. Pets frequently need extra antioxidants beyond what is in their food. Including antioxidants in their regimen will extend the quality of their lives as well as their longevity. Antioxidants are essential nutrients that slow the destructive aging process on the cellular level. 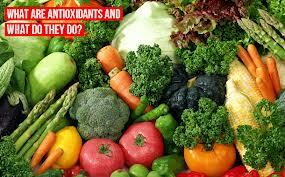 Antioxidants inhibit the oxidation process which creates "free radicals". Include "live" fresh food to your pet's diet. This is why we recommend green vegetables, squash, berries and raw frozen diets. Avoid dry food as it lacks enzymes, viable antioxidants and is very high in overprocessed starchy carbs. Since antioxidants and vitamins are lost in cooking, raw freeze dried food is a better choice than dry food, when fresh food isn't possible.